When my friend Natalia got married, she held part of her reception at Wish Restaurant in Toronto. The atmosphere was perfect for a wedding and the brunch options all sounded amazing. 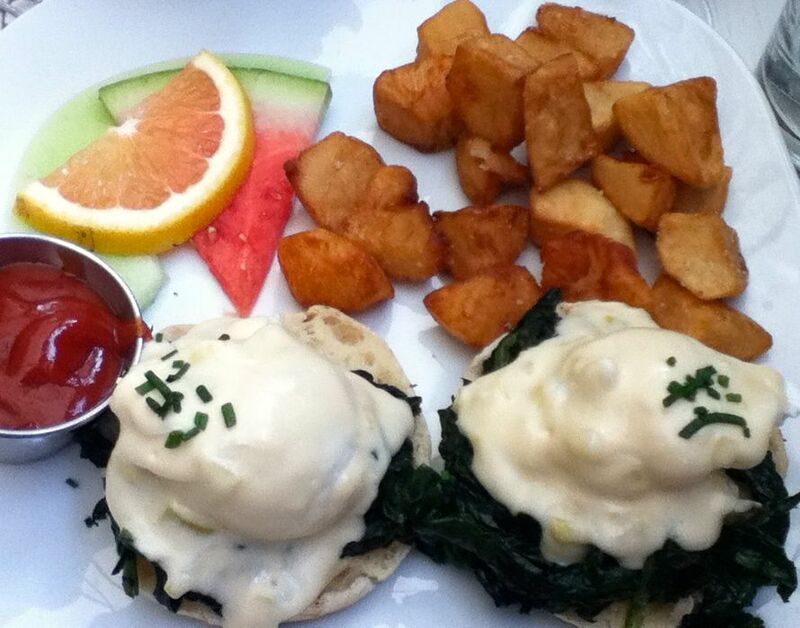 I ended up choosing a menu item called the Florentine: poached eggs over wilted spinach with leak and Parmesan fondue. The eggs were lovely and the meal was served with a tasty amount of breakfast potatoes. Beautiful food to celebrate a beautiful day.